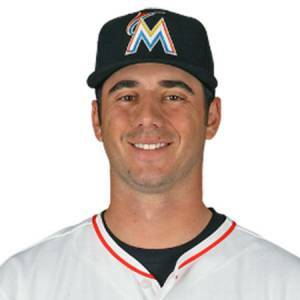 Kyle Barraclough is an American professional baseball player who plays in the Major League Baseball (MLB). As of 2019, Kyle David Barraclough currently plays for the Washington Nationals as their Pitcher. Kyle David Barraclough has played for other teams like Miami Marlins. As a Pitcher, Kyle David Barraclough reportedly earns around $1,725,000 as his yearly salary from Washington Nationals. Further, Kyle David Barraclough has an estimated net worth of over $3 million. How Much is Kyle Barraclough's Net Worth and Salary? Kyle David Barraclough has an estimated net worth of over $3 million and currently earns $1,725,000 as his yearly salary in 2019. In addition to this, he earned a sum of around $4,107,846 from his entire MLB career until 2019 and is projected to earn a lot more in the near future. Kyle reportedly signed a one-year contract worth $1.725 million with Washington Nationals on February 8, 2019. This contract also has a guaranteed sum of around $1,725,000. Besides, Kyle Barraclough is earning a sum of around $1,725,000 from the team Washington Nationals as his annual salary. Is Kyle Barraclough Married or Single? The 29 years old player Kyle Barraclough hasn't mentioned in any of the media regarding his relationship status so we cannot confirm whether he is married or not. Furthermore, he hasn't given a single hint about his probable spouse/girlfriend in the media since he loves to keep low-profile and keeps his love affair hidden from the general public. As going on exploring his official social sites, it is found that he made his Instagram account private so that no one could view his posts and other details. Since he is a busy player and focuses more on his career and stays far from rumors and controversies. In addition to this, there is any information relating to his past affairs or relationships. The Famous MLB star is 6 feet 2 inch in height and has a decent with along with a charming personality. Kyle David Barraclough is not only a world-class athlete but also has a very attractive individual. Kyle's age is 29 years in 2019. Kyle David Barraclough was born on May 23, 1990, in Santa Clara, California, United State. As per his nationality, he is American and belongs to the White ethnic group and his star sign is Gemini. Kyle David Barraclough attended Wilcox High School in Santa Clara, California where he played for his high school baseball team. After completing high school, Kyle David Barraclough enrolled at St. Mary's College of California and played for them. Kyle was selected by the St. Louis Cardinals in the 2012 Major League Baseball Draft and played for over two seasons with them. Later on, he was traded for Steve Cishek to Miami Marlins and was promoted to the major league replacing Joey Terdoslavich. Currently, he was traded to Washington Nationals on October 10, 2018, from Marlins team.